When a chance to escape arises, she takes it, but what will Azteriya do when she not only finds the adventure she’s been seeking but love, too? U love this author but the continued berating of the male character due to being human and seen as less than by the female lead drove me nuts! It mirrors too much of the illness of racism in America. I wasn't expecting the prejudice of the female to continue so long, but yet it did. This was a hard book for me to get thru and I skipped some sections because it was far from enjoyable and an escape from reality and that escape is the reason I listen to books. I just love this series so much. I knew they would be so great together! Azteriya is certain that she was born to be a warrior like her father, even though her mother and their society believes she should find a man to bear children with. With the help of a friend, she takes to the skies as the stow-away on a ship. When she is discovered by a human, Azteriya cannot believe the ship's commander trusts the hairy creature. After finally experiencing adventure and attending the wedding of the human, she begins to see that war isn't everything. 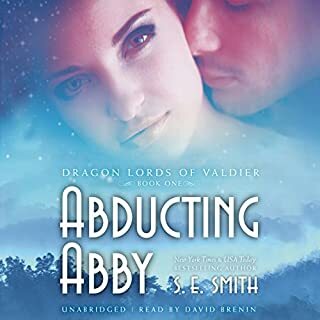 If you've been waiting for the next tale in the Alien Abduction series, you will not be disappointed. This was brilliant! When a stubborn, single minded woman decides that she has had enough of parental control, things get dangerous. Azteriya was perfect with how naïve she really was and Jedrick, man of hair, was an excellent antagonist to her. Together, they get in a lot of danger. I was rolling when TED was introducing himself and talking about FRED. The snippets with Azteriya's father were great too. He had awesomely sound advice that Azteriya kept following throughout. Marie Smith did a wonderful job with the voices and carrying the intonation – whether it was Azteriya, "mother" doing her disapproving comments, or the captors, or even the bland ship voices. It was a joy to listen to her bespell the story. Definitely credit worthy! Excellent choice for a bit of change up! This was well written and preformed. While I have read many of this authors paranormal stories and enjoyed every minute, I had not yet moved into her off world titles. This book was alot different than what I had thought that I would get, but in a good way! The characters are what I liked the most. She is so arrogant yet sassy you can't help but laugh at her antics! And he just tugs at your heart strings right off the bat! They fit togther perfectly! Their adventures get you pulling for them as well as giving us some great laughs. I will definitely be doing exactly what I should not be doing ! 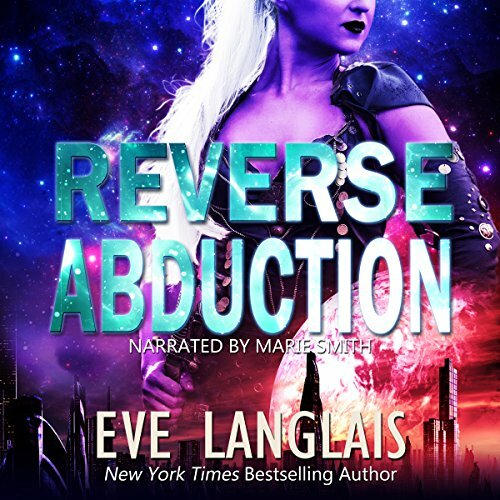 Purchasing more of these alien adventure books by this author and falling into another binge read/listen! Highly recommend this talented authors work! Why I love this book? In a world where you are told that women are only good enough to marry, stay at home and have babies - so not my seen either. My own daddy taught me - be your own person and there is no such thing that only men can do it - except have the man body part and give you the baby. That is why I love, love love this book. Azteniya, a Kulin lady, wants to be a warrior like her father - on their home planet where everyone is purple, but women were stay at home wifeys and baby makers, etc. Her mom - not happy, her dad - go my girl! And she does what any girl does, right?, and stows away on a ship. In comes captain of said ship - alpha human male - who doesn't know what to do with her. Well, lets pit that crazy alien woman against alpha male - and lets have a look at this outcome, which is peppered with humor - and had me giggling as I was listening to it as I sat at work. I always love Eve Langlais books and this book is no exception to that rule - Next please!!! Very enjoyable and entertaining time listening. Whilst I enjoyed the narrator I did not love her. She gamely did well with a variety of speech patterns. 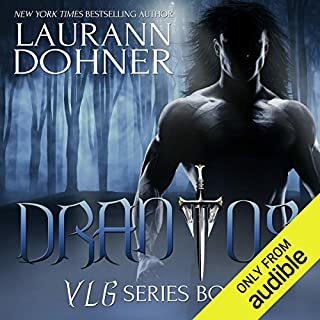 This is my first ever audible review where I have not read the book first. I have to say this has been a very interesting and entertaining time listening to this story. Loved the way Ms Langlais has turned the gender equation around but kept Azteriya just as overbearing, obnoxious and full of herself as any male warrior we have read about before. Her stubbornness leads to adventures, her description, not Jedrik’s. Love the overall story, the quirkiness and humour and the ending with her parents was fun. I own every book in this series but have not purchased this one yet due to time constraints. I will be buying the book to add to my collection. 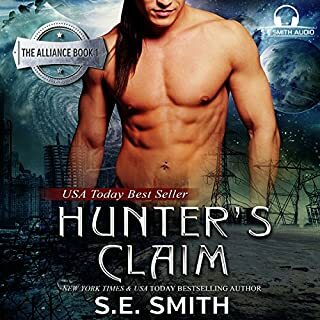 This audible book was kindly gifted to me and this is my honest review. azteniya was on a planet that women only good for cooking and having babies. her father raised her to be more and to be able to fight but her mother isn't having it. no she wants her to give up her dreams marry who ever and have babies because. that's what they do. so she runs away on a ship that has landed. Jedrek is the poor human who owns the ship she jumped on to and causing all the trouble lol. poor guy doesn't know if he should toss her out the airlock or kiss her. love the crazy action in this it's non stop, drama, entertaining, and funny. it was realy great. I highly enjoyed it.